The latest report from Ransomware response vendor Coveware shows a shift towards larger organizations, bigger ransoms, and a focus on disabling recovery. 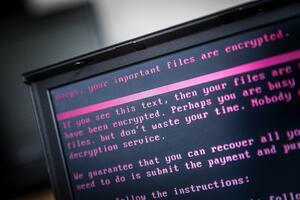 From the looks of things, ransomware has not yet completed its 15 minutes of fame. According to Coveware’s Q4 2018 Global Ransomware Marketplace Report, it feels more like cybercriminals are just getting started with this impactful form of malicious attack. The data in the Coveware report points to cybercriminals shifting from the shotgun approach, to instead targeting specific verticals and sizes of organizations they know have less invested in IT security, and don’t appropriate backups in place. 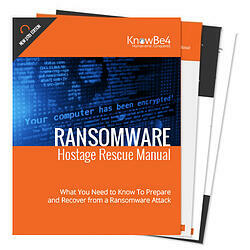 Ransomware code is also getting more sophisticated with automated assaults on backup software and data included as part of the attack. With phishing emails still at the forefront of most cyberattacks, it’s important for organizations to look for security measures that will stop any kind of malware – ransomware included – from every running. The most effective is Security Awareness Training, used to educate users on the need to elevate their mindfulness of cyberattack when interacting with email and the web, as well as on how to spot suspicious content that can be potentially harmful to the user and the organization.